For over 100 years, the successful brands that are part of LIXIL have combined the best of the past with a vision for the future. LIXIL was born in 2011 through a merger of five of Japan's most successful building materials and housing companies, TOSTEM, INAX, Shin Nikkei, Sunwave, and TOEX. From early 20th Century, the founding fathers of our legacy companies ushered in an era of innovation and laid down the principles that would make LIXIL one of the most respected names in the Japanese building and housing industry. The global brands that are now a part of LIXIL also share a heritage of innovation that dates back to the 19th Century. Company founder Jimbei Kawashima launches a fabrics store, the predecessor of Kawashima Selkon Textiles Co., Ltd.
Standard Manufacturing, the predecessor of American Standard, is founded to produce cast-iron water closets, washstands and bathtubs. 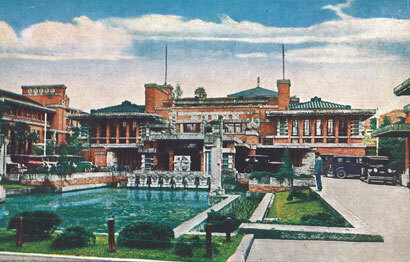 The founder of INAX provides technology advice on the production of exterior tiles for the Imperial Hotel building designed by Frank Lloyd Wright. Takejiro Ushioda sets up the Myokenya store, the predecessor of Tostem Corporation, to launch a wooden fittings retail business. Ina Seito Co., Ltd., the predecessor of INAX, is founded by Chozaburo Ina to manufacture tiles, earthenware pipes and terracotta. Chugai Seiko Co., Ltd., the predecessor of SUNWAVE CORPORATION, is founded by Ryozo Yoshizaki. GROHE is founded by Friedrich Grohe, acquiring Berkenhoff & Paschedag. 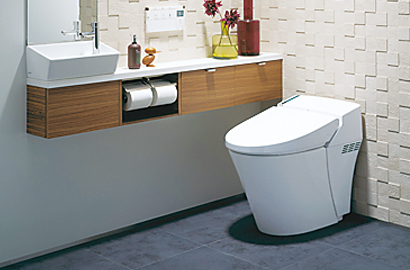 INAX launches production of ceramic sanitary ware. Nihon Tategu Kogyo Co., Ltd. (later Tostem Corporation; currently LIXIL Group Corporation) is founded by Kenjiro Ushioda. 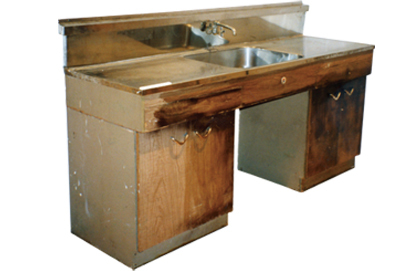 SUNWAVE develops Japan's first mass production technology for high-quality, low-priced stainless steel sinks. INAX launches production of FRP bathtubs. American Standard launches a new-type (push-pull) faucet. 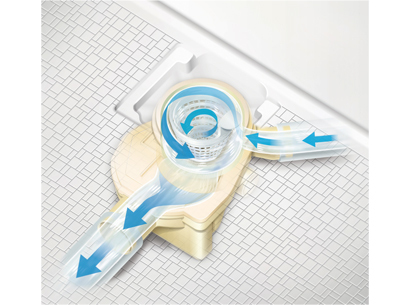 INAX launches the first made-in-Japan shower toilet. Tostem and Shin Nikkei undertake Japan's first super high-rise curtain wall project for the Kasumigaseki Building. Tostem launches a new aluminum window sash designed to prevent rainwater seepage and allow easier cleaning. Permasteelisa is founded in Italy (original name: Isa). Toyo Exterior Co., Ltd. is established. Shin Nikkei Co., Ltd. is established. 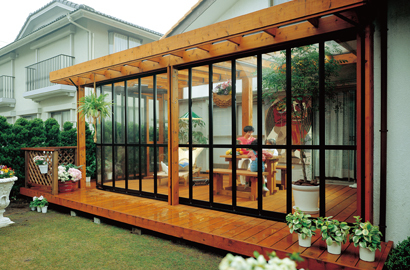 TOEX launches Japan's first full-open/full-close glass-paneled "garden room." Tostem Corporation is renamed Tostem Inax Holding Corporation, and becomes a pure holding company. Tostem Corporation (currently LIXIL Corporation), an operating company, is established through a corporate separation. Inax Corporation joins the Group. 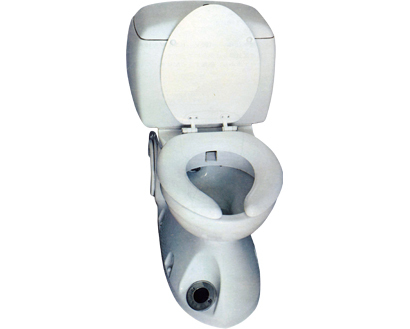 INAX launches tankless flush toilets. Tostem Inax Holding Corporation is renamed JS Group Corporation. 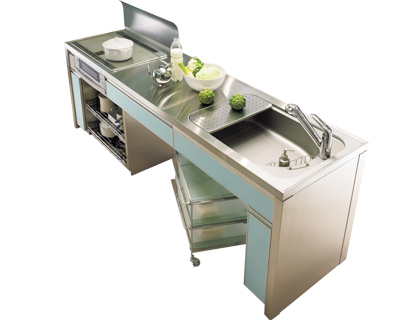 SUNWAVE's kitchen systems receive a Red Dot Design Award. INAX and Tostem develop a bathroom drainage system designed to significantly increase cleaning functionality. American Standard Asia Pacific becomes a subsidiary of Inax Corporation. SUNWAVE CORPORATION and Shin Nikkei Co., Ltd. become subsidiaries. 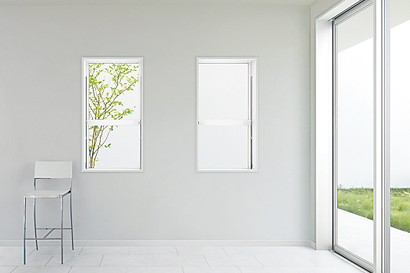 TOSTEM launches a window featuring significantly increased heat insulation due to expansion of the double-glazed area. Tostem, INAX, Shin Nikkei, SUNWAVE and Toyo Exterior are integrated to establish LIXIL Corporation. Kawashima Selkon Textiles Co., Ltd. Becomes a subsidiary. Permasteelisa Group, a world-leading curtain wall project contractor, becomes a full subsidiary of LIXIL Corporation. LIXIL Corporation forms a joint venture with Haier Group in China (LIXIL-Haier Housing Products [Qingdao] Co., Ltd.). 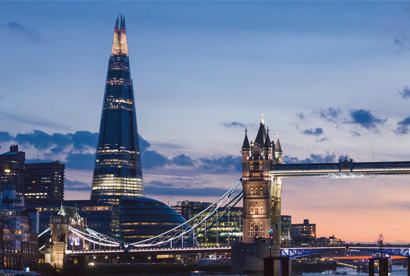 Permasteelisa undertakes a building envelope project for The Shard tower (in the UK) designed by Renzo Piano. American Standard Brands in the US becomes a subsidiary of LIXIL Corporation. 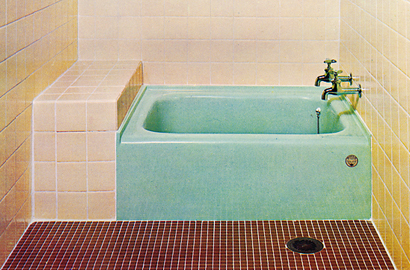 GROHE Group S.A.R.L. becomes an equity-method affi liated company of LIXIL Corporation. LIXIL Corporation converts GROHE Group S.a.r.l. into a consolidated subsidiary. LIXIL Corporation reorganizes its structure into four technology units to pursue global expansion.